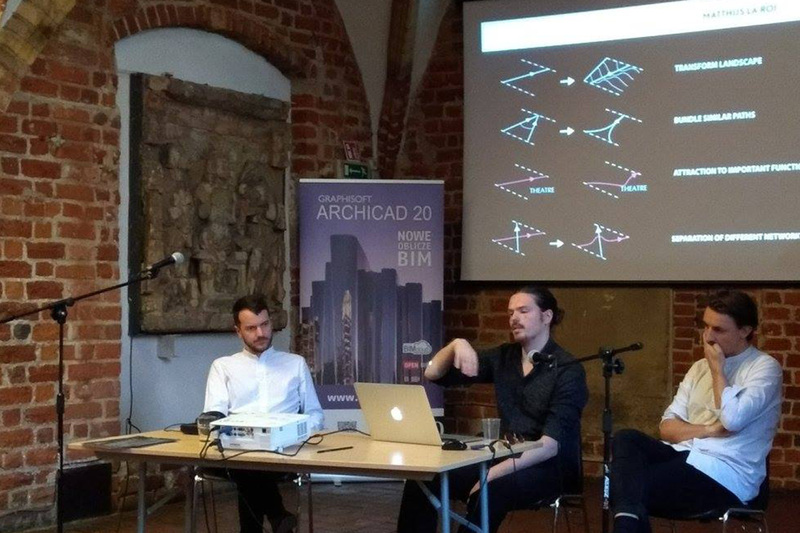 Matthijs la Roi and Marvin Bratke together with Paul Clemens Bart from Bart//Bratke held a collaborative lecture called: Make a Hybrid at the Shapes of logic conference in Wroclaw Poland. The lecture was organised around the shared vision of both studios in relation to infrastructure and automation. The focus of the lecture was mobility and computation. The lecture will be published in the near future by the Shape of Logic organisation.